Email is essential for a successful loyalty program, but many companies aren’t using email correctly. Email content is too often an afterthought, with many companies delivering loyalty program emails that contain static data. Even worse, the marketing teams creating those emails are hard-coding and manually curating redemptions … with no guarantee that those deals will even be available to customers at the moment of open. Real-time, contextual email marketing is the best way to successfully engage your loyalty program customers and get more out of your loyalty program. 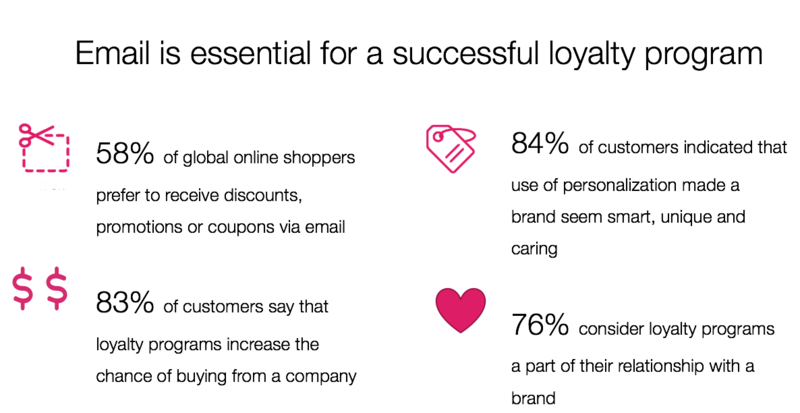 In our recent webinar with Olson1to1, we explored several types of proven contextual loyalty emails that customers love. Here are some of our favorites. Miss the webinar? Watch the full recording here! The use of data visualization in marketing, like infographics, has skyrocketed over the past few years. 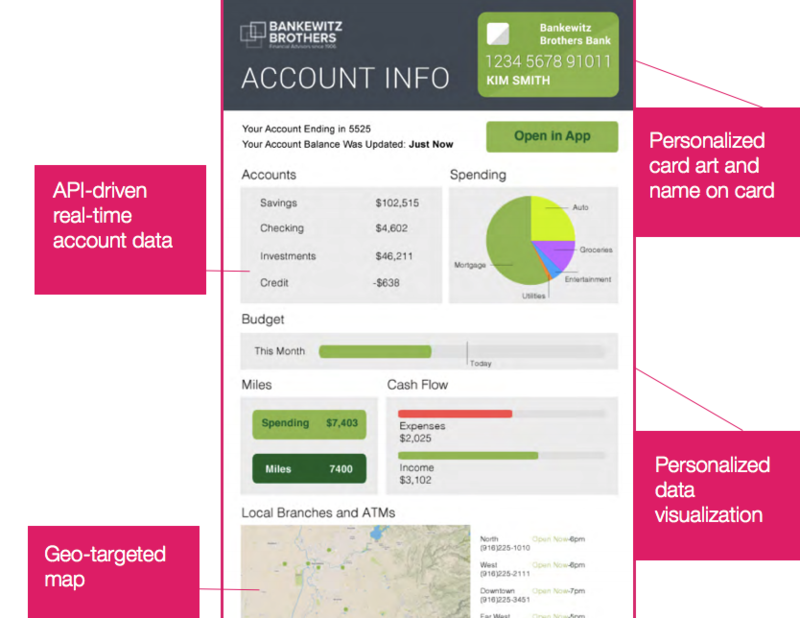 And it makes perfect sense— graphics are more engaging and visual data is easier to digest. According the the SAGE Handbook of Political Communication, the human brain can make sense of a visual in less than 1/10 of a second. 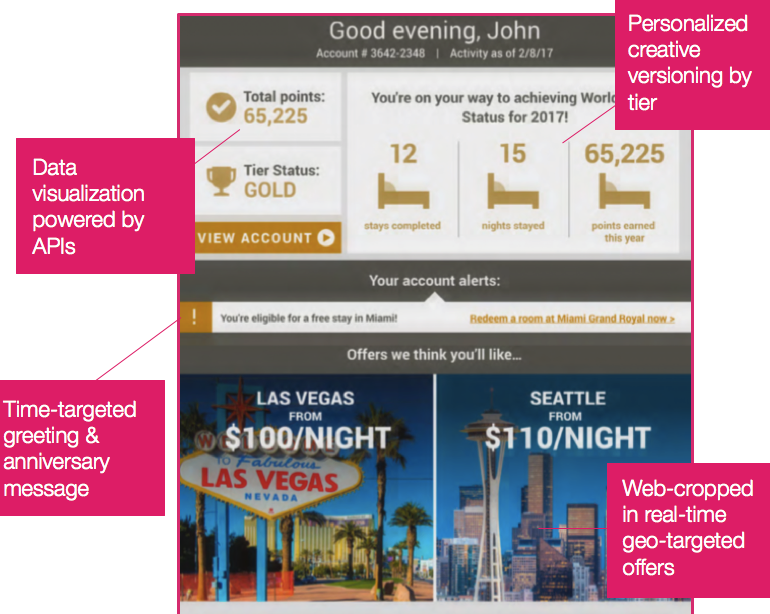 So incorporating data visualization into your loyalty program emails is a no-brainer. And it’s not as much work as you might think. 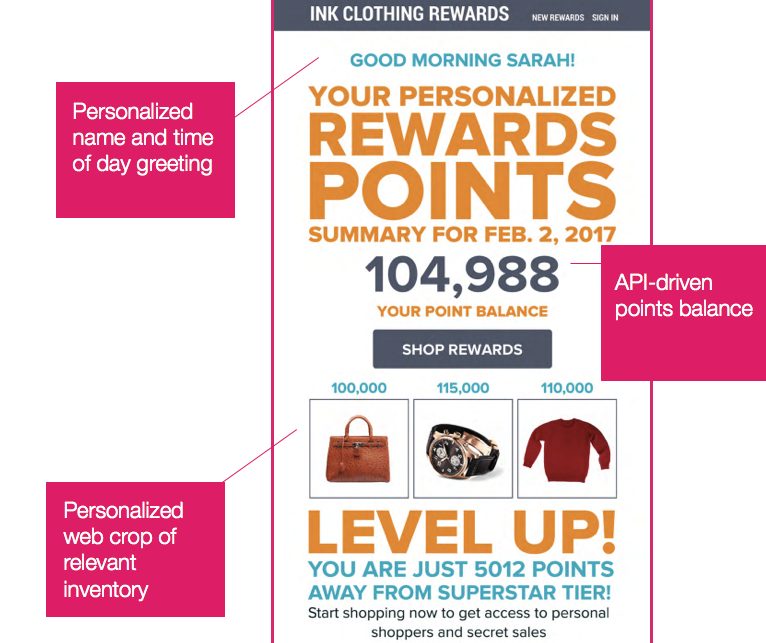 This email uses live data visualization to create a personalized, engaging overview of the customer’s loyalty program. This email provides a snapshot of the customer’s rewards program activity. Creative is swapped out based on the loyalty tier, and all of the points information is updated in real-time, all from one HTML! The offers here are geo-targeted based on the customer’s location at the moment of open, so they’re always relevant. downfall of any loyalty program. So keeping it simple is important. it’s easy to understand (81%). 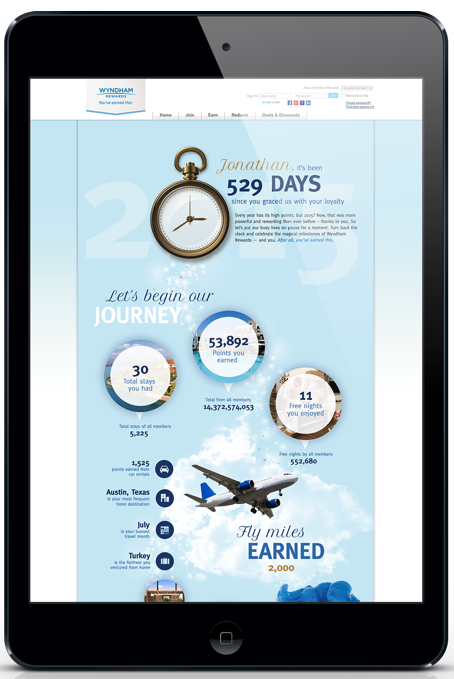 Wyndam Rewards delivers a comprehensive annual summary dynamically in a digestible and engaging infographic format. This is a great example of how brands can use data visualization to display important, personalized information in their emails. Lens Crafters knows that their customers shop or buy lenses 1-2 times a year. Birthdays offer a personal opportunity to remind them of this event. 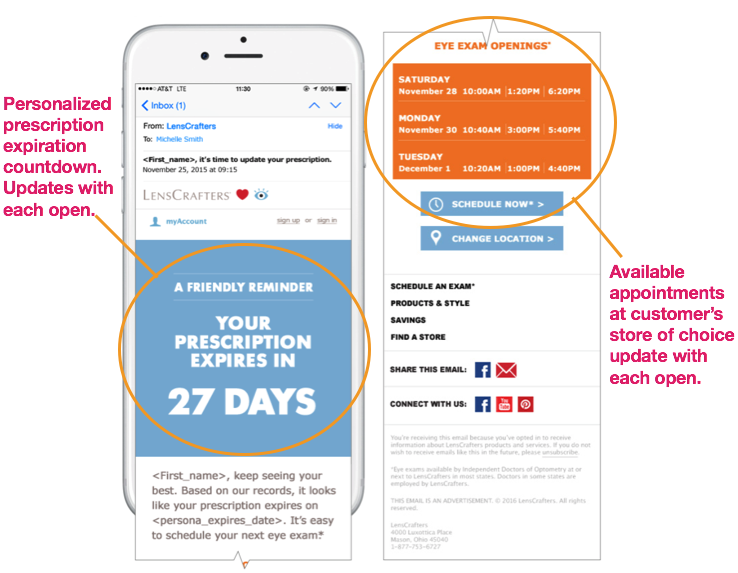 Good data is key: up-to-date expiration information and available appointments offer a unique opportunity to remind customers to shop. Ensure that your brand (and your customers!) get the most out of your promotions. Amtrak’s emails show different promotions based on the user’s current status in the promotion. That means that every user will get a unique email based on their own actions. Want to see more great examples of successful loyalty emails? Watch the webinar: How to Build Better Loyalty Emails. This entry was posted in Email Marketing and tagged loyalty emails, webinar on March 22, 2017 by Kristen Dunleavy.